The programme in collaboration with Facebook, according to the Home Ministry, will be piloted in two disaster-prone states — Assam and Uttarakhand. 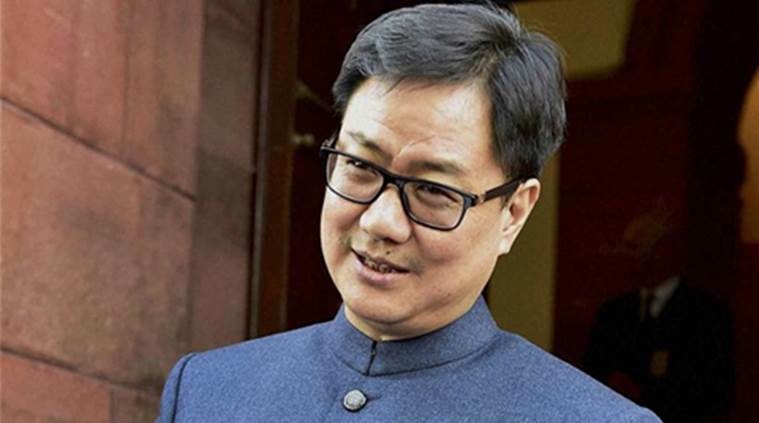 India will be among the first countries to partner with Facebook on disaster response, Union minister Kiren Rijiju said while inviting other technology companies to create tailored solutions for such challenges. Facebook will share its disaster maps, developed using aggregated, de-identified data, with the National Disaster Management Authority. The maps can aid swift disaster response by providing real-time, actionable information, said a press statement from the ministry. Rijiju said technology can be leveraged to provide quick response and information to people in times of need. He added that the world was moving towards partnerships, where people would partner with the governments in responding to disasters. “This partnership is a benchmark and the first of its kind. We are the first government to partner with Facebook on disaster response,” he was quoted by the home ministry as saying. He said community groups and stakeholders need to find innovative ways to inform people on time in scenarios of disaster management. Rijiju was opening the ‘India Disaster Response Summit’, organised jointly by the NDMA and Facebook, on Thursday. The summit focussed on the best way to leverage social media platforms to “prepare, respond and recover” for, during and after a disaster.